A professional platform for those who have studied in Australia, their friends and supporters. AAA-C connecting you to opportunities! AAA-C is a non-profit and non-political organisation for all Cambodians who have studied at an Australian tertiary or vocational institutes. The AAA-C has around 700 members from diverse professional backgrounds, including government officials, business people, academics, researchers and individuals working in public and private sector. AAA-C is with missions to represent Australian alumni inside and outside Cambodia to contribute to the well-being of society, as well as, to assemble the Australian alumni to positively implement the association’s objectives in a professional and responsible way. Being AAA_C member since 2008, committee member (2014-16), vice chair of Cambodian Australian Networks of Students (2012-now), she has involved with AAA-C activities such as a speaker to share personal experiences, scholarship information and coordinator of our social and charity projects (Joy of Reading and Planting, workshops) to promote habit of reading, green environment and AAA-C reputation. It is a big pride working as a team not earning her networking but bigger achievement our social and charity work to community. With support and engagement from members, she was given Community Leadership Award. Seeing laugh/smile of children, teachers, community and our members with charity projects and workshop inspire her to take AAAC leadership role because she envision to foster culture of working and sharing, esp more women members engaging in network to earn themselves in leadership role, and engaging from local and international partners contributing needy community and schools to sustainable our projects. 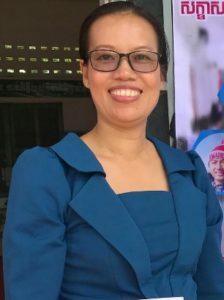 Ms. Lim Sereyroth graduated with a Master degree in Applied Anthropology and Participatory Development from Australian National University (ANU) in 2014 and graduated diploma on Public Administration, Crawford School of Governance and Public Policy, ANU in 2013. 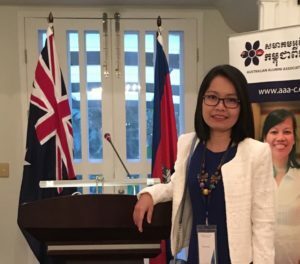 She was a former president of Cambodian Student Association in Canberra, Australia in 2013-2014. She is currently a National Program Officer at United Nations Agency. “I believe there are something more we, as female and male alumni, can do together to enhance our professional skills and knowledge in contribution to creating better impacts for our society and sustainable development of the country”. 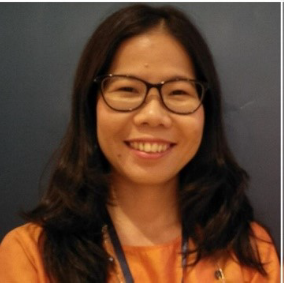 Ms. Mao Leakhen graduated with Master degree in Development Practice, James Cook University, 2013. She is currently a Finance Officer in the Department of Ministry of Agriculture, Forestry and Fisheries). Ms. Sok Phany graduated with Master of Employment and Labour Relations Law from the University of Melbourne in 2015. 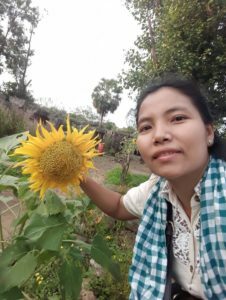 Currently, Ms. Sok works as a Social Sustainability Program Responsible at Puls Tradeing Far East Limited “Representative Office” (H&M) in Cambodia. 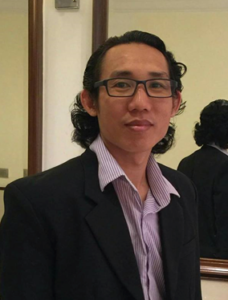 Mr. Chean Toing AIN (JC) is a Cambodian born citizen and currently the Managing Director at ACE. In 2000, he received a scholarship to study Bachelor of Arts & Humanities, majoring in Psychology and Education at Asia-Pacific International University (former Mission College), Thailand, where he graduated in 2005. JC has since worked in Cambodia in a number of roles that have helped to shape his outlook and abilities. Firstly, he has worked in building capacities and advocated for better services of those that are disadvantaged in his role as a teacher, a lecturer, a trainer, an officer, a manager, a consultant. In 2012, JC was recognized for his experience and commitment, and equipped him with enough qualifications to pursue his further study and he was awarded a scholarship to study a master degree in Education in Australia for two years under the Australian Award program. Apart from education advancement and professio nal experiences, he’s participated in both local and international training, conferences and workshops including: Conference on “Successful Learning Conference 2014”, Sydney, Australia on 23-24 June 2014; training on “Child Safe Environments”, Adelaide, South Australia, Australia on 24 February 2013; training on “Behavior Change Communication”; Dan Church Aid/Christian AiD (DCA/CA), Cambodia and many more.